Book clubs offer a great opportunity to read widely, challenge ideas and develop your critical thinking. It’s also a great way to increase connection with others that is sometimes lost in our busy lives. You can either start one yourself or join an existing one (be it real or virtual). We’ve explored some celebrity book clubs and have some tips for starting one yourself. In case you haven’t heard, Emma Watson has started a feminist book club. Called ‘Our Shared Shelf’, it’s open to anyone who wants to join and meetings are conducted through a group on Goodreads. To become a member, you just need to register for an account and join on the group’s page. The actress explained the reason for starting the book club: “As part of my work with UN Women, I have started reading as many books and essays about equality as I can get my hands on,” she wrote. “There is so much amazing stuff out there! 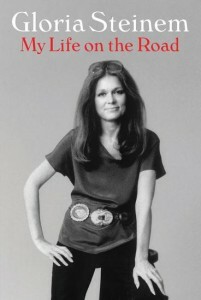 Funny, inspiring, sad, thought-provoking, empowering!” The first book that the group is exploring is Gloria Steinem’s ‘My Life on the Road’. In 2015, Mark Zuckerberg’s New Year’s Resolution was to read a significant book every 2 weeks. This kicked of ‘A Year of Books’ on Facebook. Books were selected based on their ability to “emphasise learning about new cultures, beliefs, histories and technologies”. Fans of the page were encouraged to post their thoughts on the titles the Facebook page created for the club. While the group has finished, you can still access the titles and comments on the Facebook page. 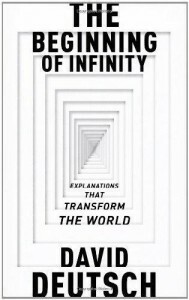 The last book featured for 2015 was ‘The Beginning of Infinity‘ by David Deutsch. There are some great online management tools for book clubs, so regardless of whether you want to meet face to face or online, sites such as: http://www.my-bookclub.com can be used to manage your book selections, invite members, create discussions or help you meet other book lovers who live near you. The beauty of this site is that you can join a bookclub whose members live all over the world. It also has a search function so you can search for existing book clubs that might suit you. Sharing our love of books is at the heart of Booko. 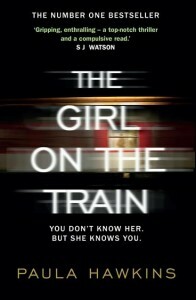 As such, Booko’s very first book club will begin this month. We’re really excited to be able to connect with book lovers in this way. We’ll let you know how to join and keep you informed of our progress.